This Valentine’s Day, escape to paradise with a Caribbean getaway in Hallmark Channel’s Count the Ways Sweepstakes. Grand Prize winner will receive a romantic 4-day Luxury Included Caribbean getaway to any Sandals Resort with locations in Jamaica, Antigua, Saint Lucia, The Bahamas, Barbados & Grenada, including round trip airfare for two. Plus, one gift per month of his/her choice including a spa day, romantic dinner, fresh flowers, horseback riding, and more. For a chance to win, entrants must visit HallmarkChannel.com now through Valentine’s Day and enter by completing and submitting the registration form. 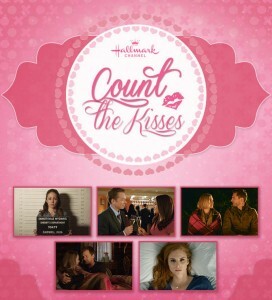 Entrants will be offered the opportunity to earn additional entries by playing the Count the Kisses digital games consisting of counting the kisses in each of the five videos displayed on screen. 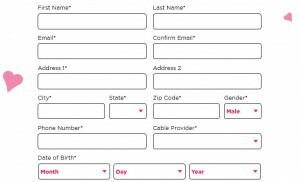 Participants can also participate by sending their full name, complete mailing address, phone number, date of birth, and email address on a 3″x5″ piece of paper and mail it in an envelope with proper postage affixed to: Hallmark Channel’s Count the Ways Sweepstakes, 360 West 132nd Street, Los Angeles, CA, 90061. Regardless of method of entry, all entrants are allowed to receive no more than one entry per day during the Sweepstakes Period. Entrants who enter online can receive up to five bonus entries per day by completing all five games. Entries will be accepted online and by mail between 9:00 a.m. PT on Monday, January 25, 2016 and 9:00 p.m. PT on Monday, February 15, 2016. Grand Prize includes coach-class round trip airfare for two, luxurious accommodations at the Sandals Resort, all meals, daily and nightly entertainment, all land and water sports, and more. Hallmark Channel’s Count The Ways Sweepstakes is open to legal residents of the fifty (50) United States and the District of Columbia who are at least 21 years of age.